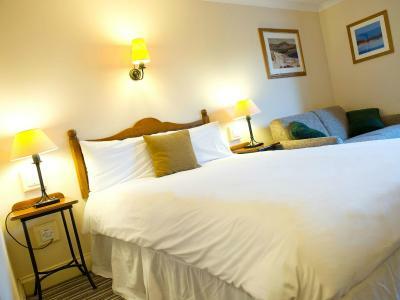 Lock in a great price for Innkeeper's Lodge Glasgow, Strathclyde Park - rated 8 by recent guests. I enjoyed the breakfast, overall a nice place to stay, friendly staff and the location. Excellent continental breakfast, if something ran out the staff were able to help. They also tried to help connect the wifi to an Italian phone and when they couldn't, referred us to one of the bar staff who travels a lot. It still didn't work but the problem was more about the Italian phone rather than the internet. Lovely outside seating especially given the great Easter weather. 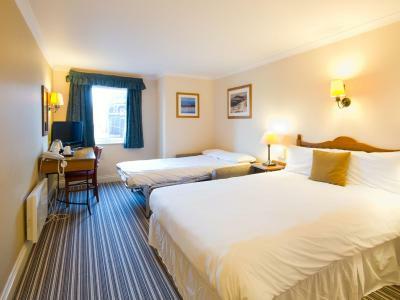 Comfortable room, spotlessly clean and very close to my family so an ideal place to stay and definitely was one of the cheaper options in Motherwell. This is the 2nd time I’ve stayed in this hotel. The staff couldn’t have been nicer. It made such a difference as we were up from Newcastle for my sisters funeral. The room was the same disabled as we had before and there was no noise. 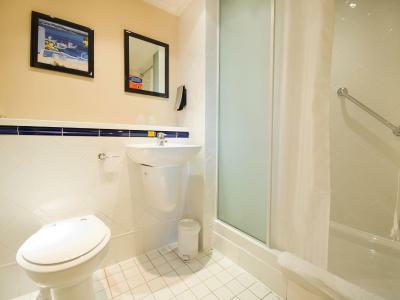 The room was a good size and suitable for a family of 4. The manager was very nice and sorted the room problem the 2nd day. A refund and free breakfast were a nice touch! Convenient for want we needed getting into Tollcross. Strathclyde Park nearby . Beds were comfy and rooms were a good size. 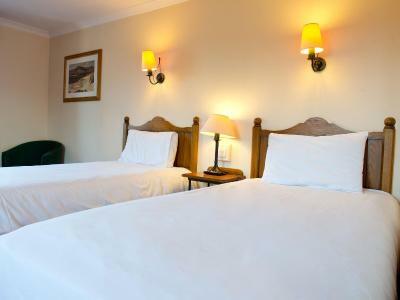 Staff were lovely, room was spacious and cleaned daily, great location for families and decent food next door. 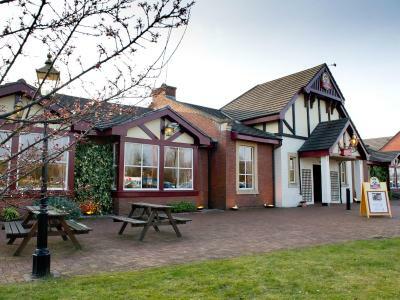 Located 300 yards from Strathclyde Country Park and 15 minutes’ drive to Glasgow city centre, Innkeeper's Lodge Glasgow, Strathclyde Park features free private parking and a carvery pub and restaurant next door. A family theme park, IMAX cinema and Scotland’s biggest indoor tropical rainforest are featured in Strathclyde Country Park. Woodland walks, sailing, water-skiing and cycling are just some of the other activities on offer. Roast beef, gammon and turkey are served in the carvery restaurant, as well as a selection of steamed and roasted seasonal vegetables. 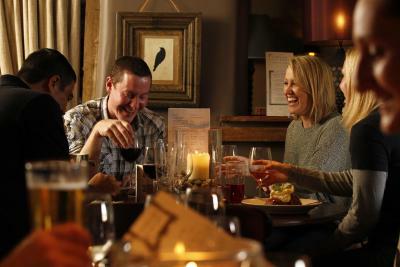 Real ale, ciders and a wide selection of wines are served at the bar, and continental buffet breakfasts are provided each morning. 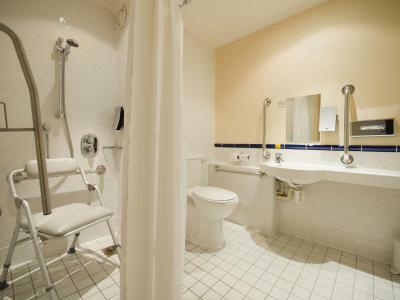 A flat-screen TV, en suite bathroom and tea/coffee making facilities are featured in each room at Innkeeper's Lodge Glasgow Strathclyde Park. 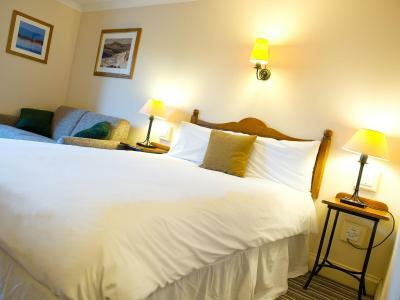 Innkeeper's Lodge Glasgow, Strathclyde Park has been welcoming Booking.com guests since 22 Mar 2012. 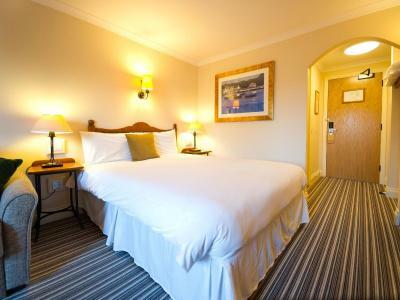 When would you like to stay at Innkeeper's Lodge Glasgow, Strathclyde Park? House rules Innkeeper's Lodge Glasgow, Strathclyde Park takes special requests - add in the next step! Innkeeper&#39;s Lodge Glasgow, Strathclyde Park accepts these cards and reserves the right to temporarily hold an amount prior to arrival. 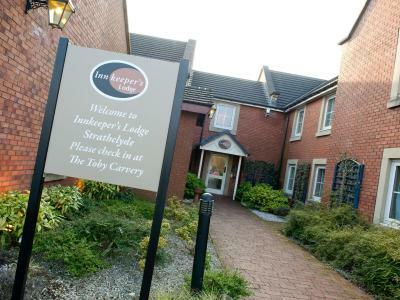 Innkeeper's Lodge Glasgow, Strathclyde Park accepts these cards and reserves the right to temporarily hold an amount prior to arrival. My bed was to soft and sloped a bit to the left, needs a new mattress. Other than that I have no complaints. Room 16 has a large air conditioning system and it was very noisy. I spent 8 hours travelling and got no sleep on the first night. A bit noisy near the motorway. Rooms could have been cleaned better. Staff of the Toby Carvery , where breakfast was served, were uninterested and miserable. SatNav didn't recognise the post code, not the fault of the hotel but perhaps there is a post code more widely accepted. TV a long way from the bed for the screen size, broken bed side lamp which looked like it had been that way for some time. Good location at the northern entrance to Strathclyde Park, just off the motorway. 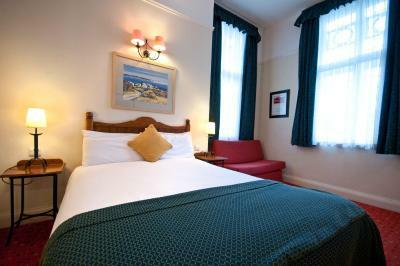 Large room, clean and comfortable. Continental breakfast with good selection included in the price. Toby Carvery connected to the hotel, via lots of fire doors, so don't need to go outside if weather is bad. Check in at the carvery bar rather than trying the entrance which would take you to the rooms.